One lounge with mini bar and one fully equipped kitchen. Two double rooms, each with two single beds. One double room with one double bed. Each room has a private shower and WC plus air-conditioning. One lounge with mini bar. Two double rooms, each with one double bed. Three igloo's each with one double bed and one single bed. Five igloo's each with three single beds. 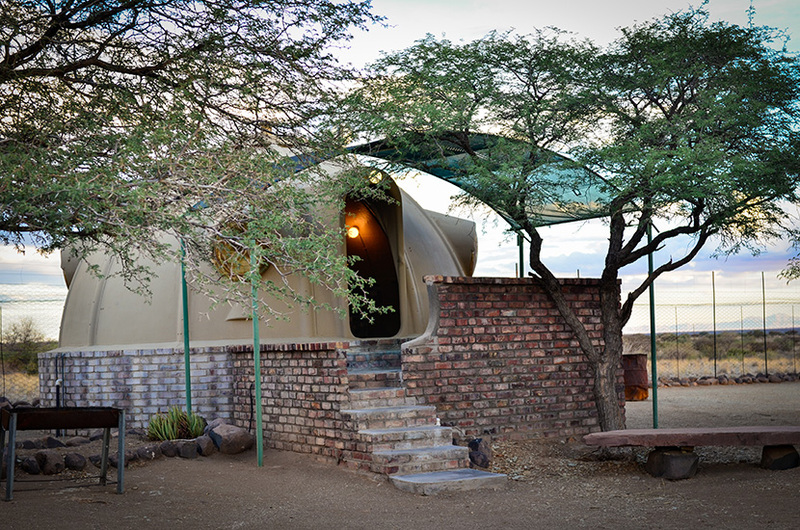 Each igloo has a fully equipped kitchen, mini bar, private shower, WC, and air-conditioning. 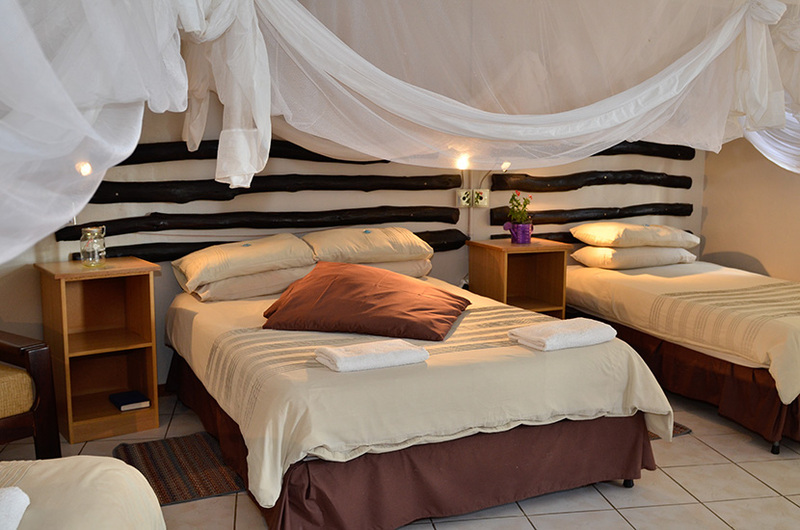 One double bed and three single beds, private shower, WC, mini bar and air-conditioning. 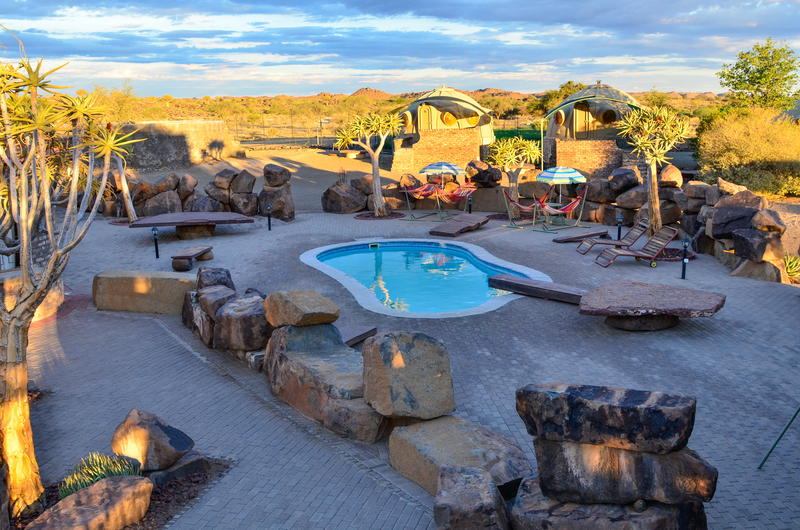 Equipped with barbeque facilities, hot showers, WC and electricity. We are a working farm, have no open restaurant only serve dinner to clients booked with Dinner bed and breakfast. Camping is only for self-cater.